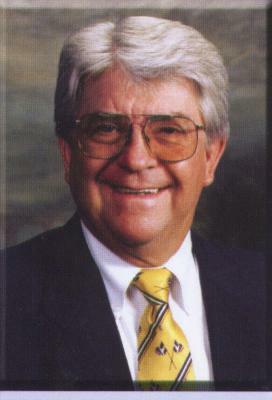 Age 65, of Gallatin passed away on November 30, 2006. He was born July 22, 1941 in Pineville, KY to James Shirley Large and Ruth Whitaker Large, both deceased. He attended Henderson Settlement School in Frakes, KY. After graduating, the family moved to Gallatin, TN and he worked with his dad at Jones Homes for several years. He was a drummer for "The Delta's" band from Gallatin. Eventually he went into the home building business like his father and grandfather before him. He loved his work but more importantly, he said that it was his "mission field" for God. Many souls will be in heaven because he took the time to share God's word and helped people to be saved. That was his joy in life. You will be greatly missed, we love you. He is survived by his wife of 36 years Pat Large, five children, Tim Vanessa Crutcher, Tammie Henley Connor, Traci Crutcher, Lynn Steve Morris and Buffie Large, eleven grandchildren, Austin Large, Abigail Lawson, Gabrielle Connor, Henley Connor, Jr., Verena Chris Owsley, Joshua Crutcher, Jessica Crutcher, Emerson Morris and MacKenzie Morris, two great grandchildren, Breanna and Brayden Owsley, sister, Deloris Marie Terry; niece, Gidget Burkam Murray Tony; great nephew, J.T. Murray, nephew, Junior Gordon Terry Pam; great niece, Jennifer Terry; great nephew, Danny Terry; uncle, Harold Tubby Large and wife Alene and children. Family will receive friends from 1pm until 6pm, Saturday, December 2, 2006 at College Heights Baptist Church. Funeral services will be conducted 2pm with visitation starting at 1pm, Sunday, December 3, 2006 at College Heights Baptist Church with Pastor Jeff Laborg, Dr. Larry Gilmore and Harold Allen officiating. Pallbearers: Jimmy Rippy, Bob Driver, George Bloodworth, Dean Gregory, Buddy Sadler and Duane DeVault. Honorary pallbearers: Leon Miracle, Jack Evans, William Buck Buchanan, Don Huddleston, Milton Blackford and Royce Dugan. Interment will be in Hendersonville Memory Gardens. In lieu of flowers memorial contributions may be made to the Cumberland Crisis Pregnancy Center, College Heights Baptist Church International Mission Fund and Alive Hospice of Nashville.